When it comes to sound control for audiometric testing Audio Support Products can provide your business with exactly what you need without breaking your budget. An affordable, yet high quality option is available with the ASP Sound Control Booth. 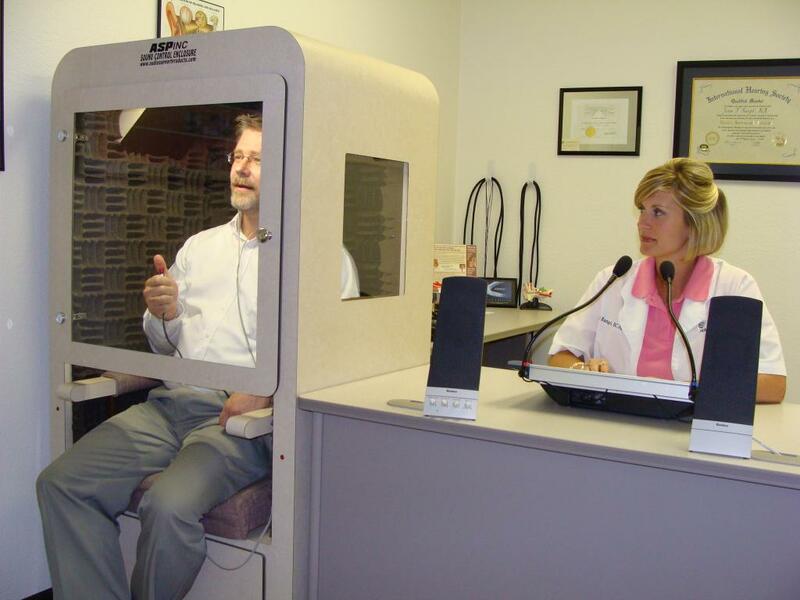 This unit provides a high level of functionality in audiometric screening, as well as portability and ease of use. 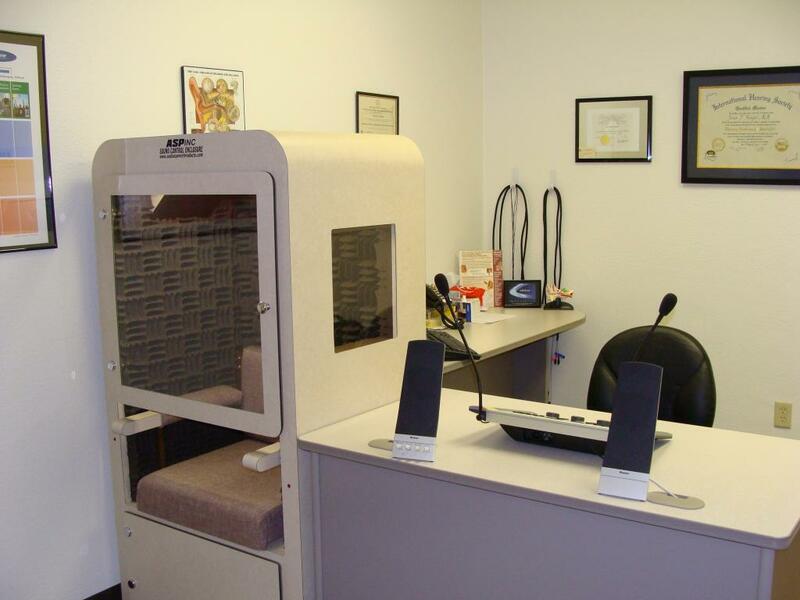 Now with an alternative to costly sound rooms you can enhance testing capabilities with the Sound Control Booth, or SCB, and provide a more comfortable, claustrophobia free, patient environment. Easy access or egress for the elderly or handicapped and more spacious for your larger patients. The SCB is the ideal sound control for any hearing specialist or audiology practice. It is both economical and space saving. Our Sound Control Booth is delivered completely assembled and ready to use. The SCB features furniture grade construction and a well lit, custom upholstered interior that creates an open feeling, encourages interaction and improves the testing environment. These units offer several features including portability, affordability and patient convenience. The unit weighs approximately 250 pounds and is situated on swivel casters that can be locked into place by the two front locking casters. The unit can easily be moved through a standard size doorway and can be taken with you on site for handicap patients, health fairs, or relocating offices. For the ASP Sound Control Booth there is no instillation necessary that would be required with a sound room. Our booths come completely assembled and are very mobile. Also they are only a fraction of the cost. 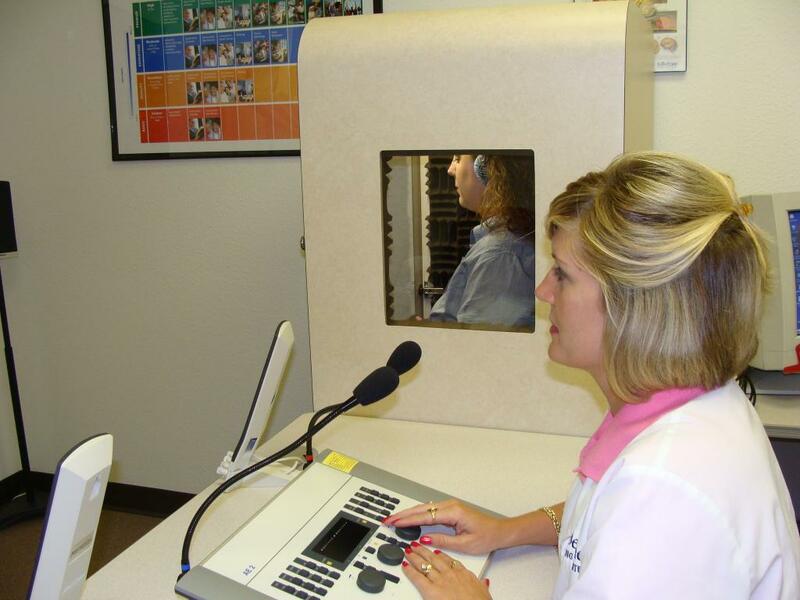 The ASP Sound Control Booth is designed to meet the demands of the patient. Patients can easily maneuver in and out of these units, whether they are sitting in a wheelchair or have disabilities. Those who are claustrophobic will not feel trapped with the window door feature. These units are easy to use and offer a high level of interaction between the patient and tester with the additional option of a side window and talk back system. The patient is comfortable, relaxed, and able to perform at the highest level. Using this type of hearing testing product can allow you to meet your patient’s needs easily. These units are custom built to meet your needs and are well suited for any office, from which way the door opens, which side the window is on, along with the color scheme, and jack panel location. It takes an average of 2 weeks after ordering to be shipped and are built on a first come first serve basis. Purchasing this high quality hearing testing equipment is the best way to meet the patient’s needs without the high cost of investing in a permanent sound room. To learn more about the ASP Sound Control Enclosure, or to place an order, contact Audio Support Products today.